The pups are back and howl-ing for fun in The Great Wolf Games! Join in on the excitement as the Alpha pack competes against all different forest animals to win bragging rights for their territory. Laugh along with Stinky, Claudette and Runt in this hilarious and exciting story where the pups learn that with teamwork and training anything is possible! 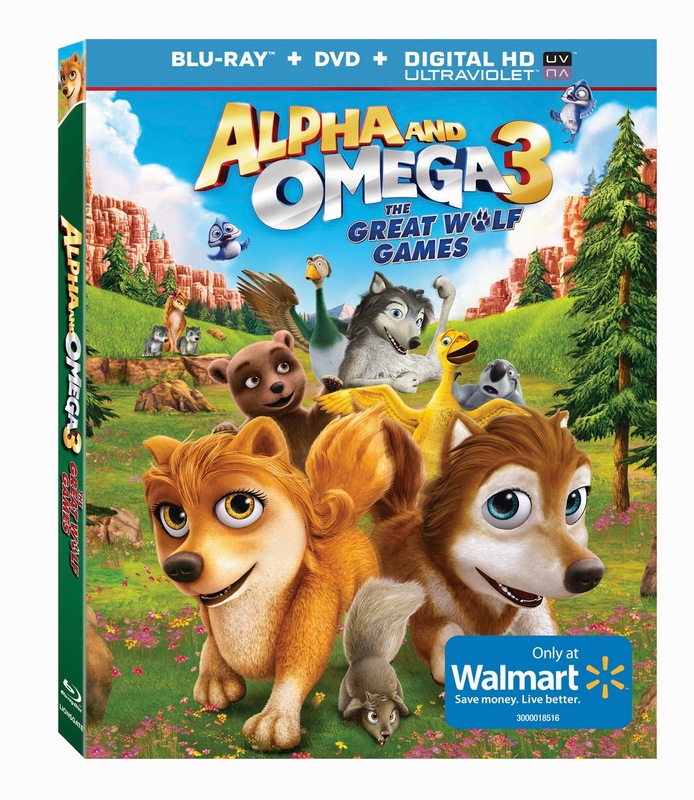 The Alpha And Omega 3: The Great Wolf Games Blu-ray Combo Pack and DVD, containing all-new special features that include the Great Games Amazing Maze and a Wolf Awareness Trivia Game, is available only at Walmart. My kids LOVE Alpha and Omega! We have all the movies to date and its something the whole family enjoys sitting down to watch. I love how it teaches my kids that if they try anything is possible :).